THE FINAL CHAPTERS: LET'S HEAR IT FOR BOB! I have had plenty to say about the visitation of Scrooge's ghosts. I for one say, "Bah Humbug, Ghosts" and "Let's hear it for Bob Cratchit!" 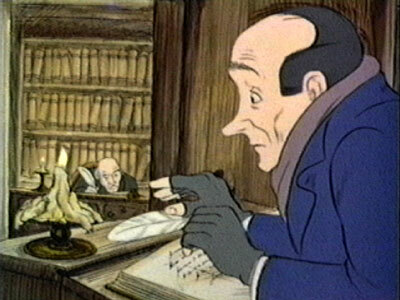 We all tend to focus on Old Man Scrooge and those ghastly ghosts when thinking of "Scrooge". I say the real hero in the novella was Bob! POOR PUT UPON- DOWN TRODDEN-NEVER CATCHING A BREAK-Bob---HE is my hero! He is one of the legion who are underpaid, overworked, and under appreciated in the world of commerce. Scrooge heaped the work on Bob, griped about any and everything he did, and was never satisfied with Bob's best efforts. And yet, Bob gets up goes to work every day, loves his family fiercely, and faces criticism and rebuke with a brave front. He never looses hope when hope is only a faint glimmer in the far horizon, Bob keeps on keeping on! WHAT A MAN! Bob has a home overflowing with mouths to feed, and a son with a terminal illness. Yet he never looses hope, refuses to moan and groan, and does his best with what is before him. When faced with impossible circumstances, he never gives up, but instead chooses to look for the best and make the most of the least. Who else should be the hero in this book, but Dear Old Bob! We tend to forget about Bob and cast him as a secondary character. I say the main lesson being taught is not it is never too late to change, as Scrooge learned, but instead the importance of perseverance and endurance in the face of insurmountable odds. There is always hope is the message to be gleamed. Many float through life feeling like bit characters in the Great Play. How must the shepherds have felt when they spent their entire lives exiled to the fields taking care of the sheep? Life's important action was happening in town, the markets were brimming with activity, the inn was crowded with travelers, and the town was over flowing with a party like atmosphere. And here you are stuck on the hillside with a flock of sheep and a group of smelly fellow shepherds for company. What a raw deal! And yet--they endured--they persevered and tended the sheep without fail. AND LOW---the angels appeared to them--telling of the GREAT NEWS--the promised Messiah had been born. GLORY TO GOD IN THE HIGHEST! Of all those crowding the overflowing city, they were chosen to hear the good news first. Talking about a bonus plan for enduring sleepless nights and lonely days tending a flock of bleating wool growers. This must have been the ultimate Golden Parachute! To think they were allowed to praise Him first. 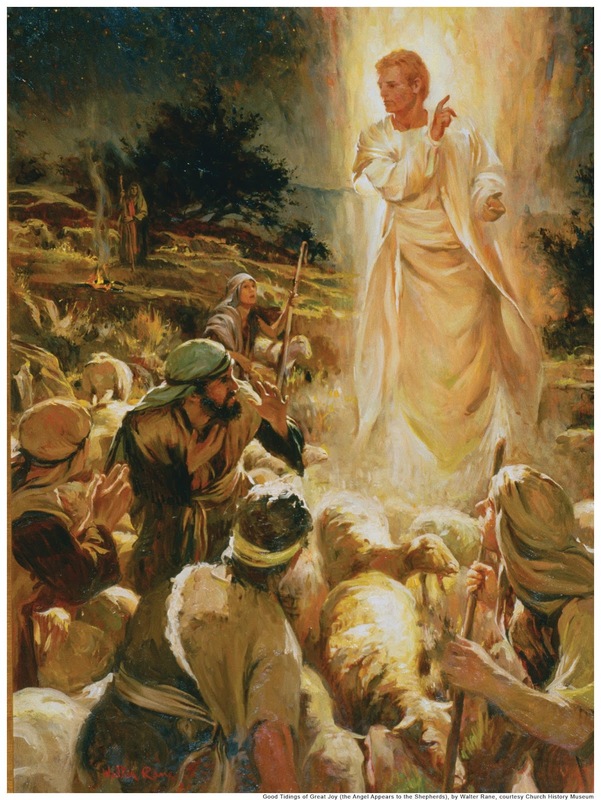 They gazed upon The Great Shepherd. 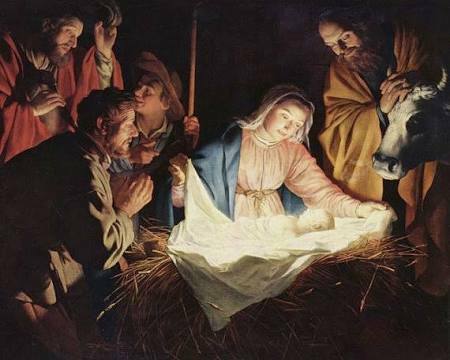 Only his parents and the animals of the stable were before them. What a statement--what encouragement--what a wonderful reminder to always know their is hope. Someone sees what you are doing. Someone knows of your faithfulness and hard work. The heroes of life are often the bit players in the eyes of the world. God though sees their efforts and Jesus is their eternal reward for keeping the faith. The day to day knowledge of His eternal presence is the Oscar for a role well played. There are no bit parts--no secondary roles in the life you are living. You are the main character and God is watching your performance and cheering you on. Play your role to the fullest--give it your all--and keep the faith until the final curtain. It is your starring role.
. 20 The shepherds returned, glorifying and praising God for all the things they had heard and seen, which were just as they had been told. I am always rooting for the underdog/the working folks...perhaps, because I have been there, done that, still doing it...(being one of those poor souls)---I AM NOT COMPLAINING...There is much love in our household and shudder at the thought of not having any love. Love is more important to me than having gobs of money, although it would be nice, lol. Yes, you have the key to it all!! As for your weather-BRR!- I put on 2 coats to walk the dog this AM and it's a mere 38!